Before I baked this cake, I knew that this gluten-free and dairy-free chocolate cake is going to be really good! I had seen Mich from Piece of Cake, Jasline from Foodie Baker and Veronica from Peng's Kitchen who baked the same recipe and saw that their chocolate cakes are super moist and interestingly delightfully light to eat! This recipe by Nigella Lawson as published in the book, Nigellissima or here suggests the use of an Italian favorite, olive oil to bake this cake. Instead, I'm using brown rice oil here to bake mine. 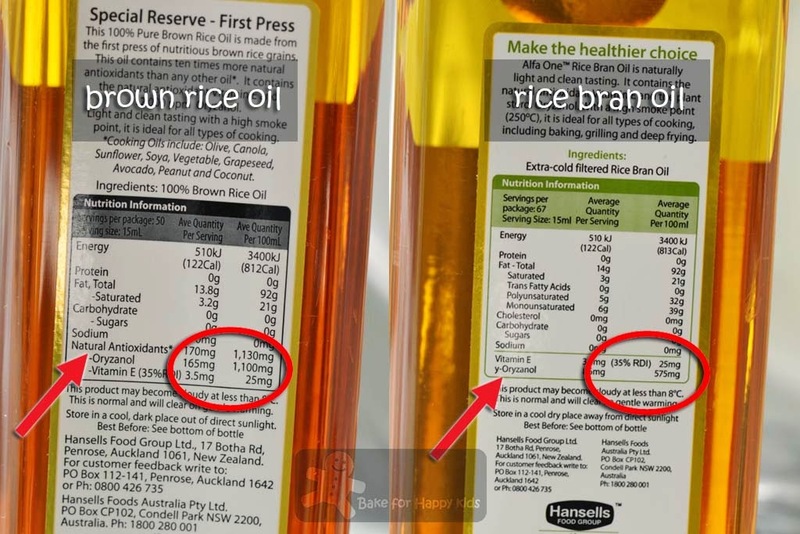 Why brown rice oil? Unlike olive oil, rice bran oil including the brown rice oil are all neutral tasting with no grassy after-taste and they can remain stable after cooking or baking high temperature due to their high smoke point. 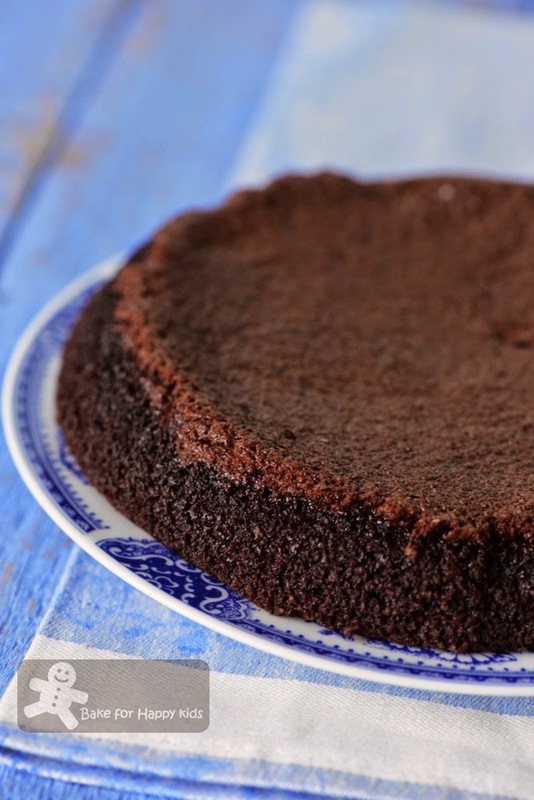 Whether it is olive oil or brown rice oil, I asked myself if the different oil used would make any difference in this chocolate cake as all I know is... This cake is one of the most beautiful chocolate cakes that I had ever baked. This cake contains no flour and dairy products and is mainly made of these ingredients. I have decided to use the brown rice oil because (1) it is an interesting product - Curious! Curious! and (2) it contains twice the amount of antioxidants than the rice bran oil - Sounds wholesome to me!!! This egg mixture doesn't have to be voluminous and can be a little runny. ... and then the ground almond. Due to absence of any flour, this cake batter is "watery" and it is best to bake this cake with springform or loose bottom tin for easy removal. The cake will shrink slightly after cooling and can be quite fragile. So I have to be very gentle transferring the cake to a serving plate. Want to bake this wholesome and awesome cake??? Preheat your oven to 170°C or 325ºF or 150°C fan forced. Line the bottom and the side of a 18 cm springform or loose bottom tin with baking paper. 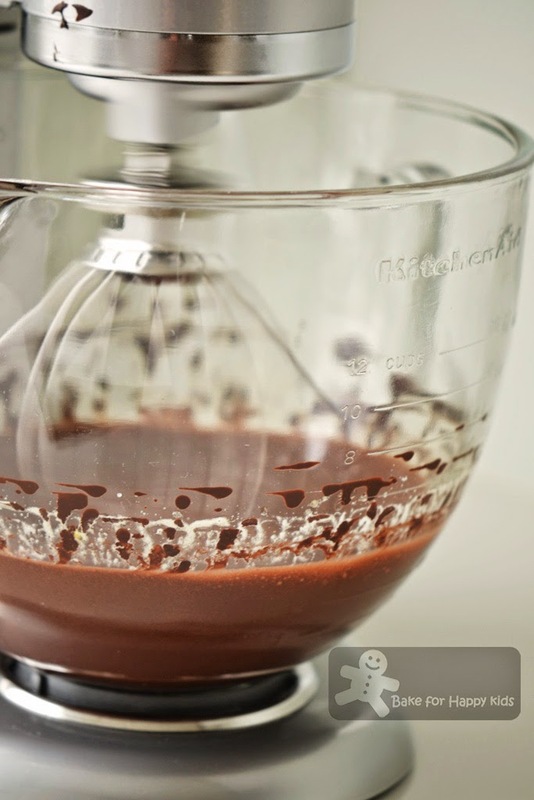 Sift cocoa powder into a heat proof bowl and whisk in the boiling water until the mixture is smooth and a little runny. Whisk in the vanilla extract or paste, then set aside to cool a little. 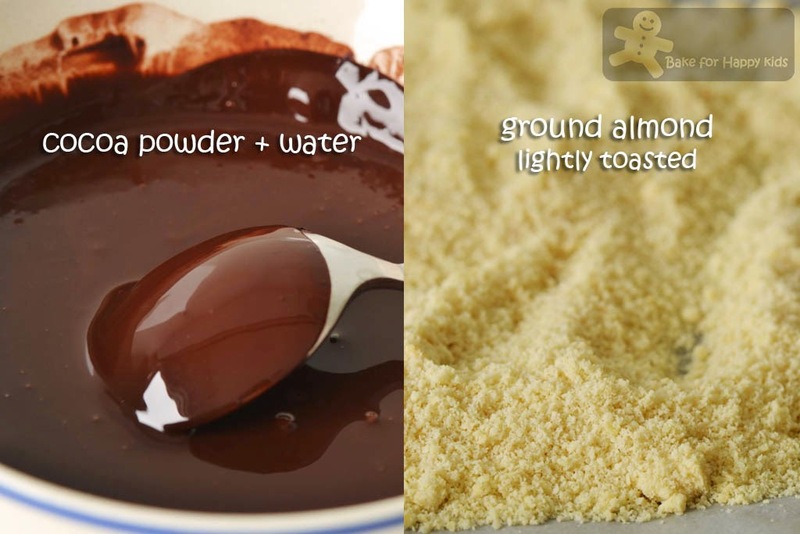 In another bowl, combine the ground almonds with the baking powder and salt. 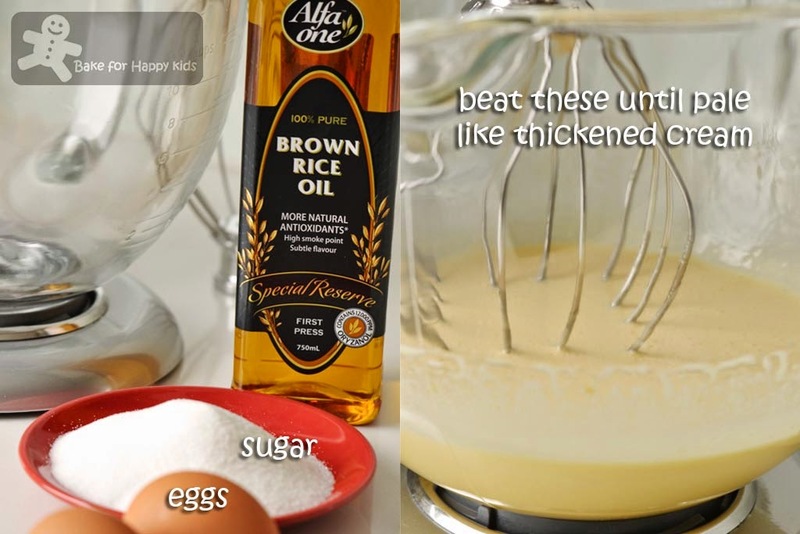 Place sugar, oil and eggs into the bowl of an electric freestanding mixer with the paddle or whisk attachment and beat together vigorously for about 3 mins until the mixture turns pale and thickened (as shown in the above picture). Reduce the mixer speed. 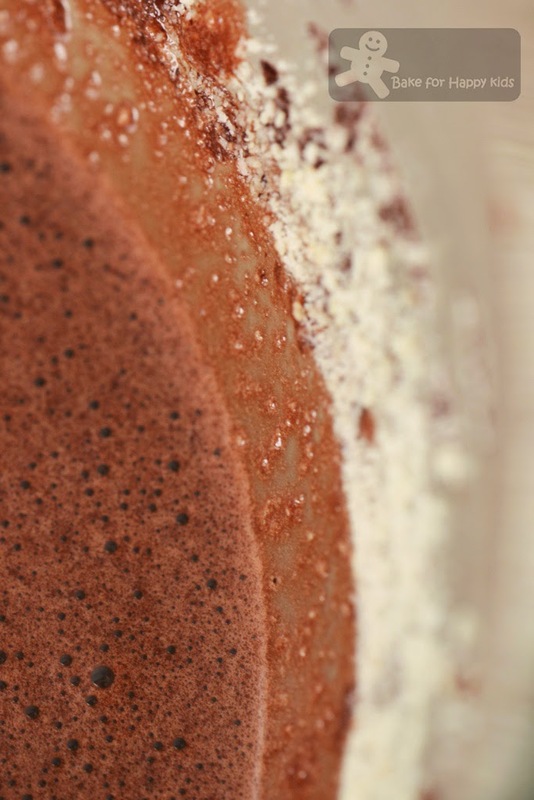 While beating, pour in the cocoa mixture and all ground almond mixture. Scrape the ingredients that are stuck on the sides of the mixing bowl and stir them well with a spatula, then pour the dark chocolaty liquid batter into the prepared tin. Bake for 40 mins or until the sides are set and the very centre. The top of the cake will look slightly damp and the cake tester will come up mainly clean but with a few sticky chocolate crumbs clinging to it. Let it cool in the tin for 10 mins and them transfer to a wire rack to cool completely. Be gentle and careful while transferring the cake from the wire rack onto a serving plate as the cake can be quite fragile when it is still warm. You can eat the cake while it is slightly warm with ice cream or cream. It has a light texture but can be moist like a pudding. Flourless? Wah, this one I must see! Oooo look at the texture, so fudgey, chocolatey, I don't mind the wet texture.. I think I will tend to eat more becoz of the texture.. Your last picture looks so so good Zoe, I swear I could smell and then eat & lick my own monitor! 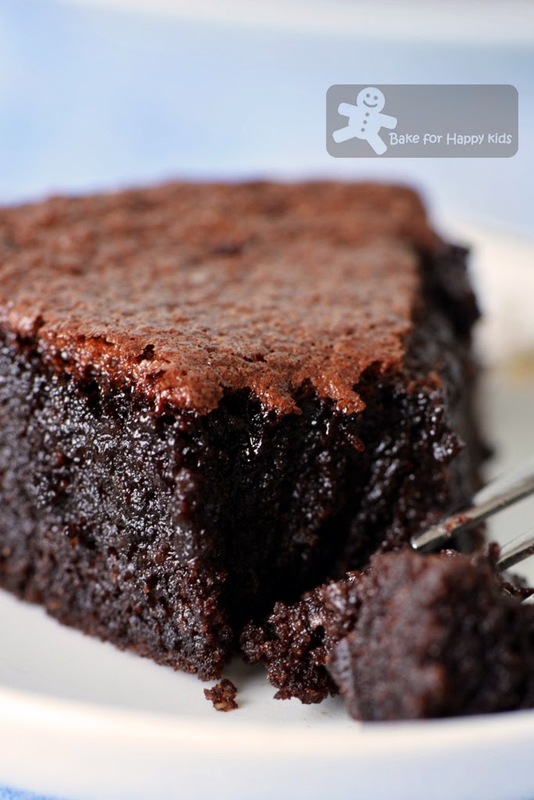 this looks ultra gooey ~~ ultra moist... who can resist this fantastic gluten free bake???? Zoe, this is so ...ohhh I am drooling...I think I can finish the whole cake! Amazing gluten free and flour less cake...looks so soft and moist!!! Zoe, this cake does look very moist from your photo! Now I am imagining all that chocolaty goodness melting in my mouth. Oh dear! Bravissima Zoe, un dolce cioccolatoso!!! flour or not that is one divine looking chocolate cake!!! such a perfect yet wholesome cake for chocoholic lover! 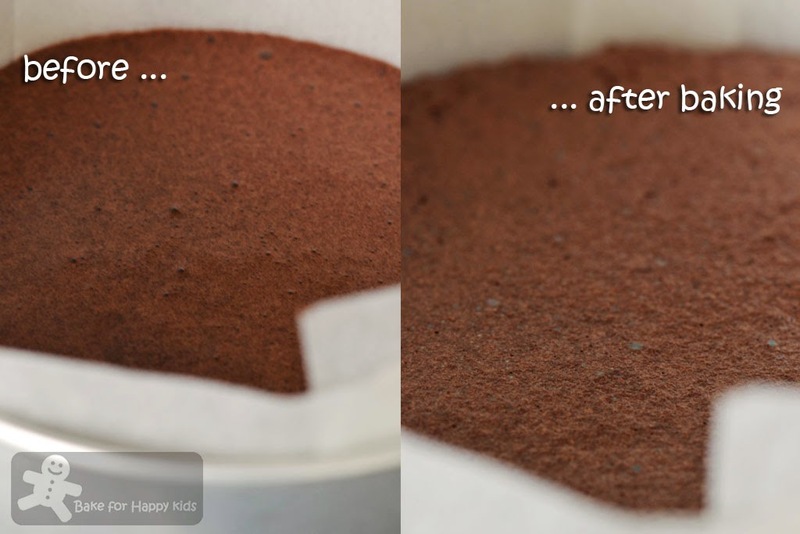 Did you sprinkle cocao powder on top of the baked cake? I was wondering why the different colour of tthe cake...mine came out one colour. This looks deliciously awesome and so moist too, I have bookmarked it! 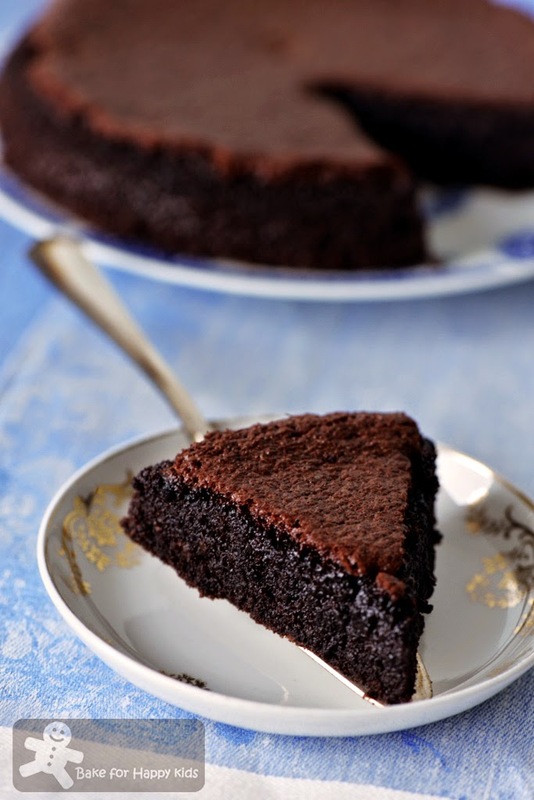 Perfect looking cake- moist and chocolaty! Your flourless chocolate almond cake looking great! I noticed no chocolate is used. Shall give this a try. Thanks for sharing! Oh, my gawd...come to Mama!